WikiLeaks Founder Julian Assange: Leaked documents detailing U.S. military detention policies in camps. 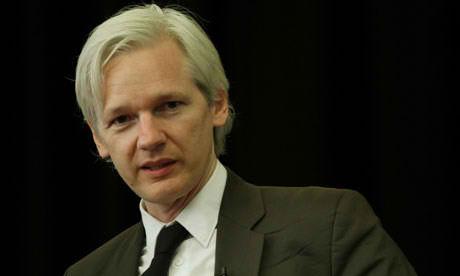 WikiLeaks has begun releasing more than 100 secret US files relating to the treatment of prisoners in military custody. The pro-transparency organisation revealed the stash of “classified or otherwise restricted files” on Thursday, dubbing them the ‘Detainee Policies’. Although they are being published in the final leg of a close US presidential election, it appears that the files largely date back to the Bush era. The first of the files to appear is a 2002 document that purports to be the founding ‘standard operating procedure’ manual for Camp Delta, the US military prison at Guantanamo Bay in Cuba. “This document is of significant historical importance. Guantanamo Bay has become the symbol for systematised human rights abuse in the West with good reason,” WikiLeaks founder Julian Assange said in a statement.